Ancient Egypt was an amazing civilization. We have all seen movies about Pharaohs and read about mummies in books. That may be fun. But not everyone finds reading books about ancient Egypt enjoyable. Ancient Egypt takes a different approach. It is a highly interactive application that teaches you about the past with high definition videos and audio. Ancient Egypt has interactive 3D models and relies on photographs, cartoons, and animations to make your experience more fun. The graphics are simply beautiful. You get quizzes, puzzles, and other fun activities, which make the app specially kid friendly. 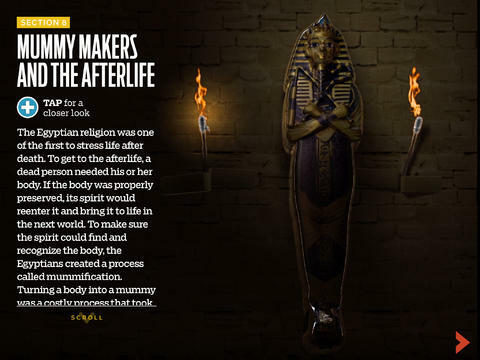 The app covers the Pharaohs, Gods of Egypt, Hieroglyphics, mummies, and pyramid builders. 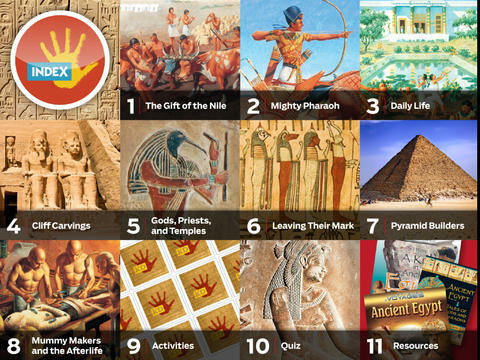 Ancient Egypt by KIDS DISCOVER is a premium application. The app is available for under $4 at the time of this writing. It makes learning about Egypt more fun.